Save money on repairs, dont call out an expensive service engineer who will charge you $$$+ per hour, you can do the easy job yourself! 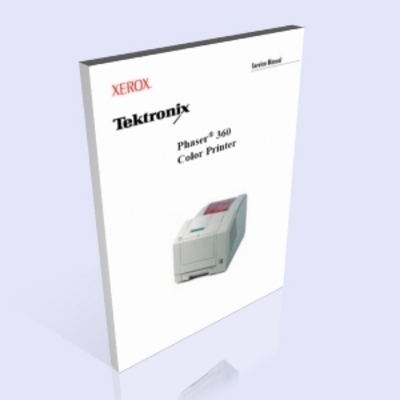 troubleshoot, repair, adjust, and maintain a Tektronix Phaser® 360 Color Printer. assembly/disassembly procedures and an FRU list. The 292 pages service manual file is in clear PDF format with clear illustrations, you can download PDF Reader here for free: https://www.tradebit.com ... this PDF File can be highlighted, word searcheable, and is bookmarked to relevant pages. Dont wait for your machine to stop working and strains your wallet... Get this manual and you could be back up and running in minutes! Please visit https://www.tradebit.comdymancabin.tradebit.com for more top quality items at extra cheap price!